These podcasts are some of the radio shows produced and aired on Voice of the Caribbean Radio. 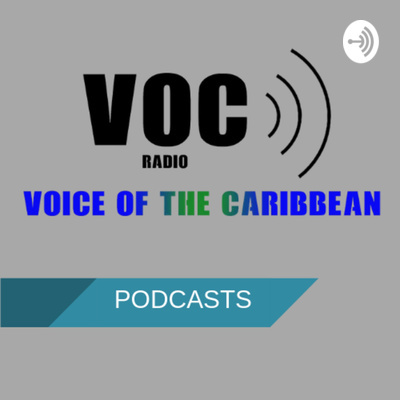 Voice of the Caribbean (VOC Radio) is a Caribbean radio station designed exclusively for Caribbean listeners in the Diaspora and around the region who desire to stay in tuned to all things Caribbean. We specialize in news and current affairs, sports and entertainment. We provide original programs and programs produced by our partners around the region. VOC Radio is owned and operated by Palm Branch Media, a media production and consulting company based in St. Kitts and Nevis. Now with his own record label and production company Di Anointed Vale talks about life after being on the JIFE Music Record label and his plans for his upcoming sophomore album The Collab. Plus we feature some Dancehall and reggae gospel from RB Records in Jamaica and a brand new reggae track from St. Lucian gospel artist Emrand Henry. We speak to Yahson Tafari, local agriculturalist on the challenges of agriculture and how the Kittitian Hill model in merging agriculture and tourism should be adopted nationally. Veteran media personality from St. Vincent and the Grenadines Jerry George speak about the recent saga involving Prime Minister Dr. Timothy Harris in St. Vincent and the Grenadines. He also provided his candid view on Dr. Harris' response to the allegations of nepotism, what is happening in Venezuela and how this impacts the Caribbean and even touches a bit on LIAT. Azem Bailey, a sound engineer and musician speaks about the state of the entertainment and creative industry in St. Kitts and Nevis. Is it being taken seriously? What are some of the challenges and what must be done to help improve the state of the industry? Hear more in this enlightening conversation with Mr. Bailey. In this episode we speak to Cricket Operations Manager for the Leeward Islands Cricket Board Vernon Springer who speaks about the recent election of Richard Skerritt as President of Cricket West Indies and what this means for the future of the sport in the Caribbean. Will the recent ruling in the diplomatic passport case involving opposition leader Dr. Denzil Douglas have an impact politically? Andre Huie interviews political pollster Peter Wickham to find out, on this edition of Let's Talk St. Kitts and Nevis. The political and humanitarian crisis in Venezuela takes center stage on this episode. Our guest is Garfield Burford, a journalist with ABS TV in Antigua. He was one of a few Caribbean journalists, including our host Andre Huie who visited Venezuela to get a view of what is happening on the ground as the country endures an economic, political and humanitarian crisis. We talk African history in this episode in light of Black History Month February 2019. Our guest is Pan Africanist Ras Kalonji who speaks about the importance of persons of African heritage knowing their history. He also delves into the intricacies of reparations. In this our first episode of Let's Talk St. Kitts and Nevis, we speak to policeman Officer Lauston Percival as he comments on the state of crime and violence in St. Kitts and Nevis.